Dr. Allie Blackburn graduated from the University of Chicago Pritzker School of Medicine and did her internship at the West Suburban Medical Center. She completed her residency program at the Loyola University and her fellowship at the Radnet Management. Dr. Blackburn is specialized in Radiology and board certified in Diagnostic Radiology. 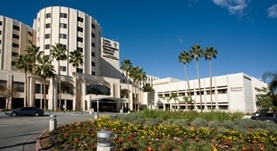 She has been in practice for more than 11 years and is affiliated with the Loma Linda University Medical Center. During her career, she has also contributed to four publications of clinical interest. Dr. Allie Blackburn has contributed to 3 publications. Current management of hemorrhage from severe pelvic fractures: Results of an American association for the surgery of trauma multi-institutional trial. Costantini, T. W.,Coimbra, R.,Holcomb, J. B.,Podbielski, J. M.,Catalano, R.,Blackburn, A.,Scalea, T. M.,Stein, D. M.,Williams, L.,Conflitti, J.,Keeney, S.,Suleiman, G....; J Trauma Acute Care Surg. 2016 Mar 10. Magnetic resonance imaging of the ankle performed on an InterStim patient. Alsyouf, M.,Keheila, M.,Marinone, M.,Blackburn, A.,Staack, A.; Can J Urol. 2016 Feb 20. Two Helpful MRI Signs for Evaluation of Posterolateral Bundle Tears of the Anterior Cruciate Ligament: A Pilot Study. Volokhina, Y. V.,Syed, H. M.,Pham, P. H.,Blackburn, A. K.; Orthop J Sports Med. 2015 Nov 05.